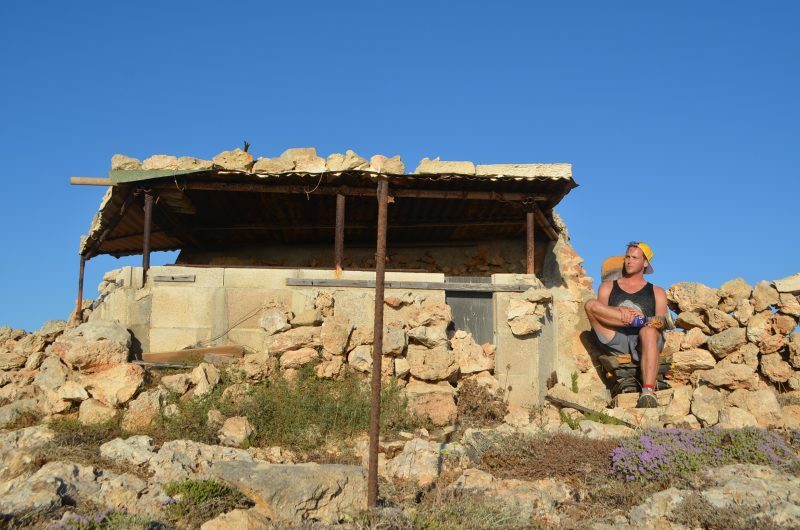 I returned home in the early hours of Sunday morning, 50 hours after leaving home, having walked around 100km around Malta. In close to 30 degree heat, carrying supplies and taking some off road routes, it was a demanding but welcome physical challenge. Having lived in this country for close to two years, it was a joy to explore more of my home and to visit places that aren’t marked on maps or tourist trails, both the good and the bad. In my short journey I found beautiful places I will return to and horrible places I wish never to return to, but they are all colourful parts of my adopted home. Most of the journey was pleasant except for the parts where I was forced to walk on the road alongside speeding cars who give you little space and the part where I found myself climbing down a very steep slope (almost a cliff) that was crumbling beneath me. In that particular section of the journey, I travelled about 2km in 3 hours and was utterly exhausted by the series of vertical ascents and descents. My feet are sore from the blisters and my right hip feels like it has been pulled from the socket, but I’m extremely happy to have explored more of Malta, just as I promised to do when I first arrived. The aim of my journey was simple: walk as much of the coast around Malta as I can, ignoring parts that I have already visited extensively or that were too difficult to reach due to access. 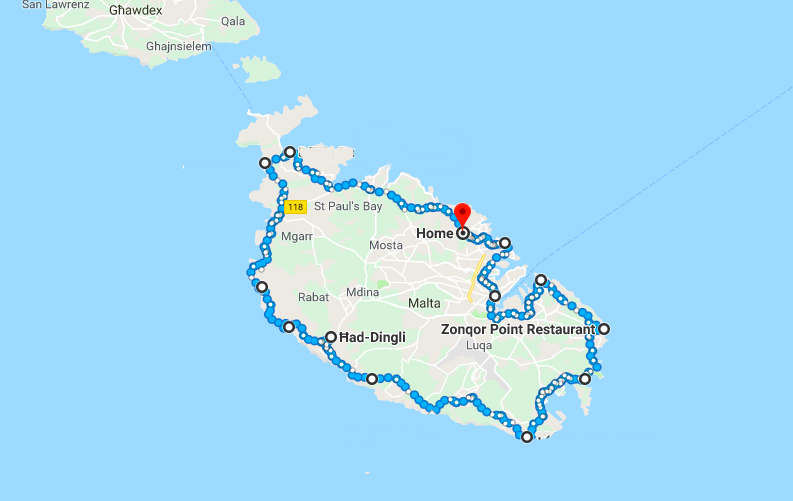 My route was something like this: Swieqi, Kalkara, Zonqor, Birzebugga, Dingli, Anchor Bay, Mellieha, Swieqi. Below is a rough map, although it is not accurate as I could not add all the points I visited (Google limit on number of points) and could not plot along the unmarked routes that I took (such as climbing cliffs).